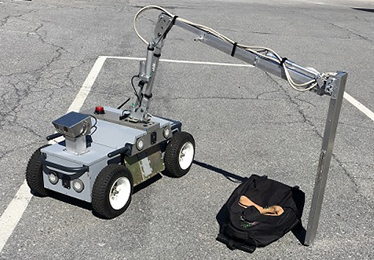 Products - XSR: X-ray Scanning Rover - Smart Imaging Systems Inc.
From conflict zones to airports to sporting events, bombs pose dangers for innocent civilians as well as the bomb technicians who regularly risk their lives to investigate suspicious objects and render the devices safe. Technology solutions can help first responders to see hidden dangers. To this end, the Department of Homeland Security Science and Technology Directorate’s First Responders Group (FRG) entered into a contract with SIS to build a robotic scanner to be a responder’s eyes. 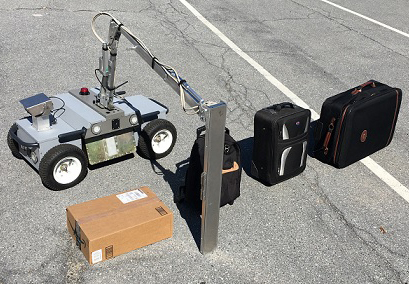 It quickly and accurately scans packages and bags for leave-behind improvised explosive devices (LBIED) while keeping responders out of harm’s way. 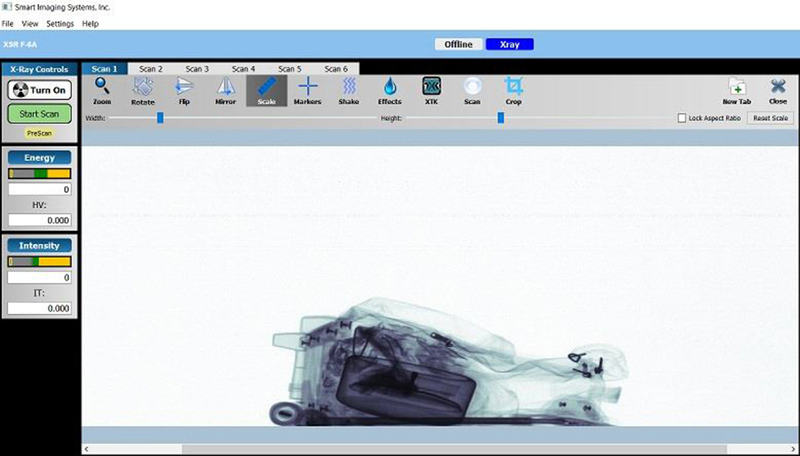 XSR is an x-ray system that scans packages for Leave Behind Improvised Explosive Devices (LBIED). 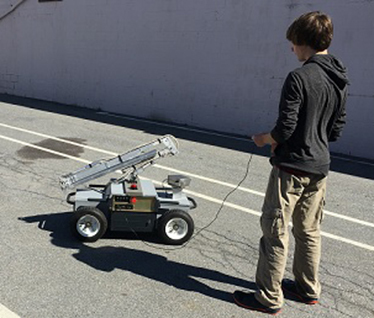 It is integrated onto a custom mid-size robotic platform which allows for quick deployment and ease of use. The system is operated remotely over a wireless link. High resolution images are displayed in real time. To learn more, contact us at info@smartimagingsystems.com. © 2008-2016 Smart Imaging Systems Inc.